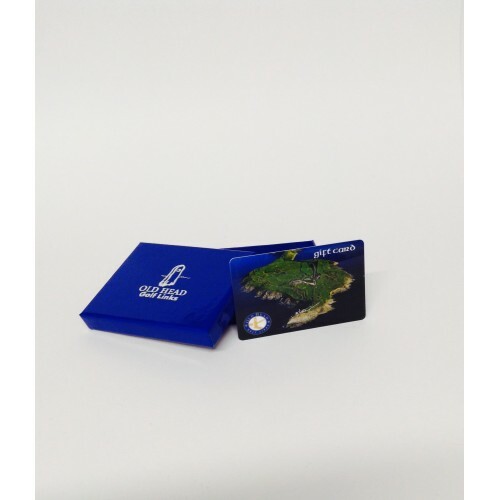 Give the gift of something beautiful with the Old Head Golf Links Gift Card. Leave the choice of an amazing round of golf, a luxurious stay & play, a relaxing meal in our restaurant, shop in our wonderful pro-shop to the recipient and give a Gift Card all wrapped in our beautiful blue regal box. It will be delivered straight to your chosen location around the world. We can also make the gift extra special incorporating a personal message. You can choose any denomination. PLEASE PLACE AN ORDER THROUGH THE GOLF SHOP.